And bestow supreme great bliss the very instant you are recalled. Yeshe Dorje was born in the Mayshö region in east Tibet to a devoted buddhist family. 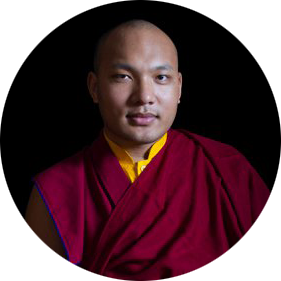 Shamar Yeshe Nyingpo, Gyaltsab Norbu Sangpo and Terton Yong-ge Mingyur Dorje recognized him as the next Karmapa in accordance with the instructions of the previous Karmapa. Yeshe Dorje went to central Tibet and was enthroned at Tsurphu monastery. Yeshe Dorje received teachings and the mahamudra lineage transmissions from Shamarpa. He also received the Terma teachings, which are the hidden teachings of Padmasambhava, from Yong-ge Mingur Dorje and Taksham Nüden Dorje. 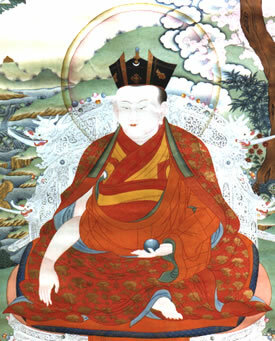 This fulfilled a prophecy of Padmasambhava that the eleventh Karmapa would hold certain terma lineages. Yeshe Dorje was a great visionary who performed many miracles. Yeshe Dorje also located and identified the eighth Shamarpa, Paichen Chokyi Dondrub, who became his close student and next lineage holder. However, he was to be the shortest lived of the Karmapas. During his precious but brief existence, he blended both the Kagyu and Nyingma teachings. He passed into parinirvana, after appointing Shamar Palchen Chökyi Döndrup as his regent.